During a local office move we needed to mount up a display for the reception area. 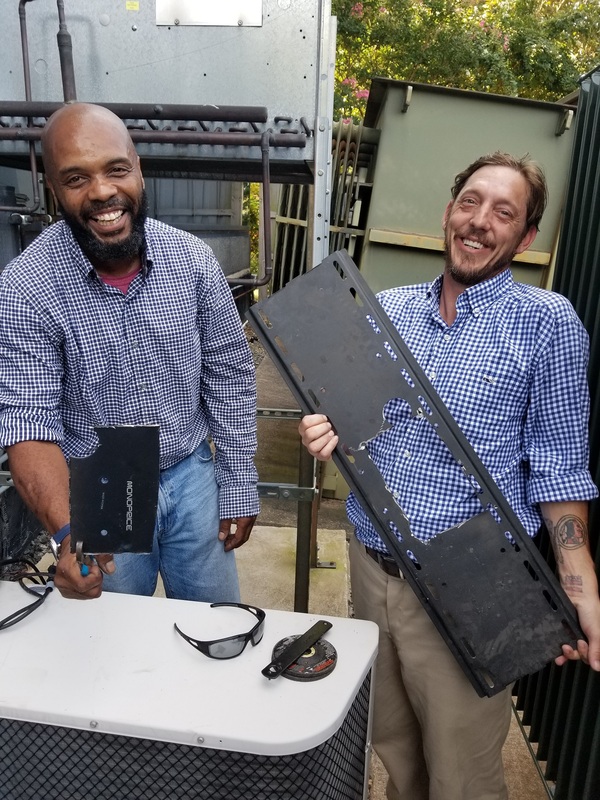 The bracket was old school so Daniel and Ty went out to the van, got a grinder, found power and made precision cuts to provide an area where power, low voltage and cables could run through. A little MacGyver action.